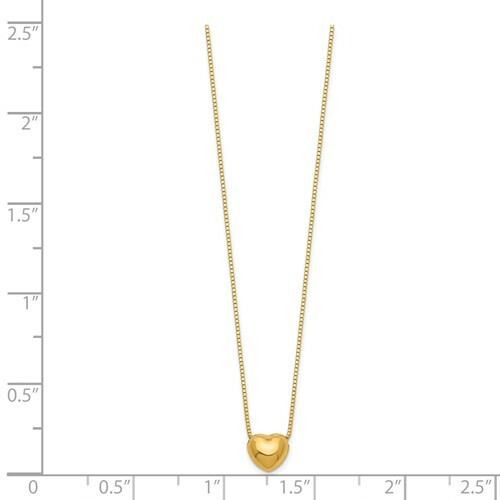 This dainty 14kt yellow gold hollow puff heart charm dangles from a 16in chain. Charm size: 6mm x 5mm. Spring ring clasp. Weight: 0.8 grams. Made in Italy. This bracelet is the best, it can be worn casually, or when you're dressed formally, very versatile. I've been wearing it every day. I think this is a great gift and will wear it forever. My picky daughter loved it! I bought this as a Christmas gift for my very picky 22 year old daughter. 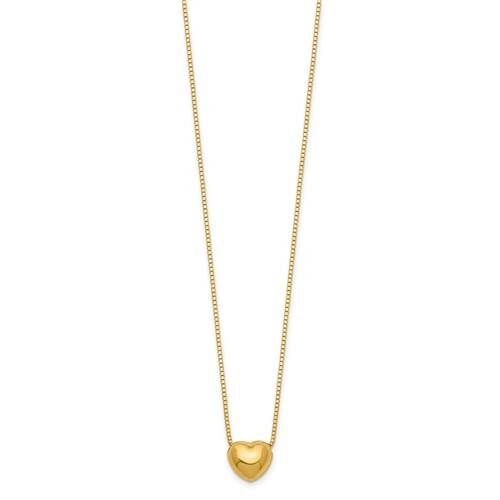 She wanted a dainty gold choker, and this item fit the bill and was perfect. She absolutely loved it! A real winner!